Our approach on individualized instruction is not only to enhance Math skills but also prepare your child for success. Our daughter was bored in her school's Math class because she found it too easy. 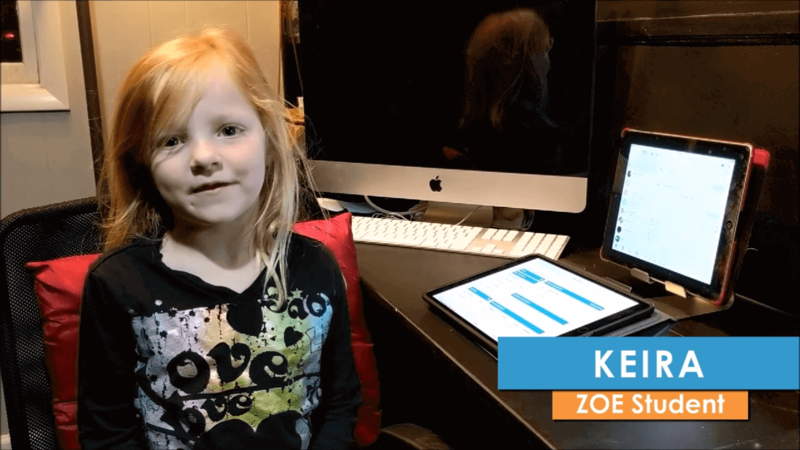 Her ZOE teacher gave her more challenging work and helped her rediscover what she loved about Math. LearnZOE is not only a professional company but also one that is passionate about helping children become the best student they can be. Instructors work hard to understand my child's learning and comfort level. They not only take the time to get to know my child but also to understand current curriculum. All my children are at very different levels of learning, our Learn ZOE instructors took time to assess and customize each session. We absolutely love the convenience of having a virtual tutor, the flexibility of schedule and the fact that my kids can learn in the comfort of our home is invaluable. I'm very confident and I strongly recommend this program for any family looking to get the most out of their child academically. The teachers have been able to engage him in a very positive and efficient way. He loves it and he loves maths now! Our son was struggling with his math homeworks and got mostly Cs in his December report. 6 months later thanks to Zoe's tutoring, his confidence is back, he does his math homework without help and any mistakes and got A in maths for his last report. The teachers have been able to engage him in a very positive and efficient way. He loves it and he loves maths now! It clearly has paid off as this year has been the first time in her life that she has said, "I like math--I get it and I kind of like it." I met with Kk's math teacher for this year and she told me that she is doing extremely well already, has a great understanding of her math facts and already has a solid foundation for her 6th grade class:) She has an A:) This is such a great start for Kk and I owe it all to you and Zoe:) I know Kk has been working hard as well to learn her math facts but thank you so much for working with her:) It clearly has paid off as this year has been the first time in her life that she has said, "I like math--I get it and I kind of like it"
Begin with our Assessment Program. Start your child on the path to success in Math! Sign up for a special 40% discount on classes for your first 3 months. Learn more about our program and get answers to all your questions. Book a FREE Parent Consultation today.